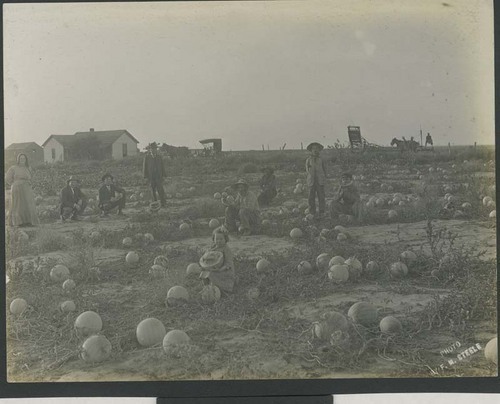 This is a view of people in a watermelon patch in Haskell County, Kansas. A farmhouse, a horse-drawn carriage, and additional equipment and animals are visible in the background. Some of the people in the photograph are eating some watermelon.